This development had two things working against it initially – it was previously a quarry land and its not-exactly-glamorous Kepong address. Beating these odds is developer Perdana ParkCity, a company owned by timber-based Samling group which acquired 473 acres of the part-rubber part-quarry land for RM200mil (or less than RM10 per sq ft) in 1999 from Danaharta during a depressed market. It’s been seven years since its first launch of strata titled terraces Nadia at RM548,000 a unit. At that point, there were many sceptical buyers who were yet to warm up to the idea of paying service charges for landed property. However, home prices have spectacularly risen two-fold since. The development’s most striking feature is its 43-acre lake and park right in the centre. Perdana ParkCity director of marketing and sales Susan Tan says almost all its launches have takeup rates of 80% within the first three months. Of the 2,000 units launched, 1,500 have been delivered. Expatriate families make up 6% of the area. Greg Poarch bought his Adiva unit in 2004 and stays with his wife Nancy, daughter Lee-Ann and poodle, Gracie. What drew him to settle there? He says it was the gated security feature and the community environment with lots of green spaces. “It’s not like living in a city at all. Pricing may be premium but it’s worth it,” he says. The project’s most expensive terrace is Zenia which is going for around RM1.3mil per unit in the secondary market which was launched in 2005 at RM890,000 apiece. In August, its clubhouse will be ready. Also, Desa ParkCity has a design, build and lease agreement with Sime Darby Medical Hospital in which the latter will start constructing a secondary private hospital by early next year. Construction of an international school will also begin next year, where enrolment will start in 2012. An artist’s impression of the Sri Tanjung Pinang waterfront project. Set against the backdrop of sun, a grand view of the sea and a hill in Penang island, Eastern & Oriental Bhd (E&O) has built a mammoth waterfront project. E&O acquired the rights to reclaim the land from the then debt ridden UEM/Renong group in 2003. Reclamation of the headland in phase 1 totalling 240 acres has been completed. The company is now working closely with the authorities in planning the layout of phase 2, totalling 740 acres. E&O executive director Eric Chan says Sri Tanjung Pinang (STP) is the largest and first city-based international class seafront masterplan in Malaysia. He says it is different because it has international appeal. “The place is well-organised with beautiful landscaping and big spaces. It is also close to the sea which I love. I’m staying here till I die!” remarks former agronomist Dutchman John Pater who has travelled all over the tropics studying coffee and cocoa during his career. A friend had recommended STP to Pater’s wife Anita, who had fallen in love with it at first sight and purchased it before telling her husband. “It’s so pretty. We love the high ceilings and all the details. Once the marina is completed, we’ll get to do a lot more fine dining and shopping,” says Anita who is resident committee chairman for STP. With that, some say this location is an extension of the new “millionaire’s row” along the bay from Gurney Drive. STP terraces are presently yielding rental yields of 9% to 10%. “Our buyers are mainly locals, about 90%. Our subsequent launches have seen a lot of repeat buyers,” says Chan. Two weeks ago, E&O launched the second last phase of 28 terraces at STP at RM1.1mil per unit and were sold out within hours. Direct sea-fronting intermediate units were priced at RM1.52mil, a new record for Penang and arguably the most expensive link house in Malaysia in a new township. Terraces in STP were first launched in 2005 at RM735,000, when homes built on reclaimed land were still not well accepted. Chan adds that there are four factors which have contributed to the success of STP terraces. “We’ve got a prime address with easy accessibility. We’re landed and freehold. Our craftsmanship is innovative and there’s quality design. Lastly, the proven track record and branding of E&O as a developer of premier properties also helps,” says Chan. A milestone for the project is when it completes its marina by June 2010 which will include food, beverage and retail outlets. Participant of the Malaysia My Second Home Programme Thomas Alexander Craig Cameron from the United Kingdom, moved into his STP unit in March this year because his Malaysian wife wanted to be close to her family. “We thought STP homes were so much better than anything else we saw in Malaysia. I have stayed in the UK and France. This is so far the best,” he gushes. Phase 2 of the multi-island development will be of international quality with a 5-star hotel and boutique resort, a championship golf course, marina beach clubs and seafront residences with private berths. Once completed, Chan says it will be comparable to world class waterfront communities such as The Palms in Dubai and Sentosa Cove in Singapore. In less than a decade, Boustead Holdings Bhd has raised the profile of Mutiara Damansara (MD) as one of the most sought after addresses in the Klang Valley. The development’s most striking feature is its bustling commercial centre; it is home to large retailers Ikea, Ikano, Tesco and in a few years time, Kidszania, a theme park for kids. Luxury auto marques such as Lexus and Mercedes-Benz have grand showrooms there. Mutiara Damansara is built on former plantation land acquired by Boustead Propeties from the Government. “With the entrance of big retail players and multinationals, property values literally skyrocketed,” says Hall Chadwick Asia chairman Kumar Tharmalingam. Being next to well established TTDI and Bandar Utama, it was rather easy for Boustead to rake in the sales. In fact, it could well be the only developer that has sold all its terraces using the balloting system. Boustead launched its first terrace homes in 2000 at RM350,000, which has since doubled to RM680,000 in the secondary market. 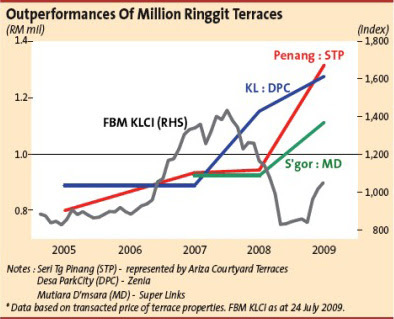 In 2007, MD launched its most expensive terraces at RM1.2mil. These homes are now priced at around RM1.6mil. 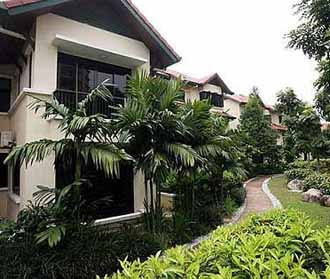 Dr Tan KK, a doctor with private hospital group, chose to buy a unit in MD because of its nice mix of terraces, semi-ds and bungalows. MD also has better density and more space. “It is suitable for families. Inside the neighbourhood, you feel secure because of the secured parameters and exit points. And just outside, you get a well designed mall with lots of good eateries and night spots for families,” he explains. Boustead Holdings Bhd’s director, Datuk Ghazali Mohd Ali says that emphasis is on low-density and semi-guarded housing with excellent infrastructure and access. Presently MD has 5 access roads with plans for a sixth access soon to cater for the up-market commercial traffic. Moving forward, Ghazali says the focus will be on its corporate and entertainment lots. “We are going to build a hotel, tentatively named Royale Bintang Surian Hotel, located behind Cineleisure,” says Ghazali. Boustead will complete construction of the hotel within 18 months. Ghazali says that the conference facilities will boost daytime traffic to The Curve and nearby developments, which are already experiencing peak traffic during weekends and at night. Duta Tropika, Sri Hartamas by SP Setia Bhd is an exclusive, low-density community with only 138 residences comprising courtyard and garden villas on 13 acres. It was launched in 2005 at a developer’s price of RM1.5mil to RM1.8mil. Today, these cluster homes have almost doubled, and are now being transacted at an average price of RM3.05mil. Some Duta Tropika courtyard houses can be seen on the left of Tan Sri Liew Kee Sin. SP Setia Bhd president and chief executive officer Tan Sri Liew Kee Sin says that back in 2006, concept projects were not really heard off. “On top of the design which captivated our buyers, Duta Tropika also offered a gated and guarded development that was not common then. The development also came complete with a clubhouse with pool, gym, hall and children’s playground. 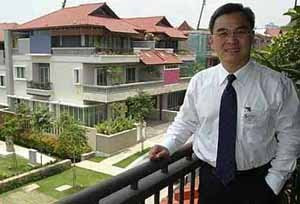 Coupled with good maintenance, this has led to the prices the properties being what they are today,” says Liew. Liew says SP Setia always believes in adding value to its products as this is the key in attracting buyers. “Must-haves would depend on the surrounding area. In Duta Tropika’s case, Sri Hartamas’ selling point is that it’s adjacent to Mont’Kiara. Several years ago, this would not have been an ideal prime spot but when you add value to the development and assure customers that you will follow through with your plans, this is what attracts them,” he says. Liew cites the example of SP Setia’s flagship Bandar Setia Alam. When first launched, many perceived that distance was going to be an issue. Today after more than 5 years since its launch, Setia Alam is selling at an average of 25% more than the surrounding developments. “We feel this has to do with the fact that we pumped in RM150mil for the exclusive interchange among many other amenities that we have since put into the township,” he says. As land in prime areas become more scarce, Liew sees prices going up. “It’s not so much that terrace homes are the more preferred abode but like I mentioned before, it has to do with the scarcity of land that it is not possible to indulge in larger homes and bigger land areas,” he says. Just minutes after taking the North Klang Valley Expressway from Kuala Lumpur to Sungai Buloh, one travels past the gated and guarded resort themed residential enclave Valencia. Selectively, some of its terraces have surpassed the million ringgit mark. Developed by Valencia Development Sdn Bhd (a wholly-owned subsidiary of Gamuda Bhd), this development houses 714 homes including 224 garden and hillside terrace houses. “Its not broad based but there have been some transactions. Its the gated community appeal,” says a property agent covering the SierraMas vicinity. Meanwhile, located in Federal Hills, or Seri Bukit Persekutuan, off Jalan Travers, sits another million ringgit private residential estate by the IGB group. Today, the townhouses are asking for RM2.33mil or RM613 per sq ft. Based on its developer price, the town houses are also yielding rental rates of 6% to 7%. There have also been million ringgit transactions of old terraces in Jalan Terasik Bangsar, and off Lorong Maarof in the Bangsar Shopping Complex vicinity. A new trend is emerging in the property sector. Prices of many intermediate terraces in new townships have breached the million ringgit mark on the back of rising demand for these properties. And it is worth taking note particularly because these terrace homes are in areas nowhere close to being considered prime 10-15 years ago. Driving home this point further is the Sri Tanjung Pinang project in Penang developed by Eastern & Oriental Bhd (E&O) launched two weeks ago; it managed to sell all its intermediate terraces and the highest price achieved was RM1.52mil. Talks with realtors and industry experts reveal that one of the first million ringgit terrace in a new location was spotted at Kuala Lumpur’s Desa ParkCity (DPC) in 2008, followed by Petaling Jaya’s Mutiara Damansara (MD) in early 2009. Noteworthy is that this rising trend has persisted despite the global economic recession which has led to a slowdown in Malaysia’s economic growth. In the distant past, seven-digit price tags were exclusively reserved for super prime areas such as Damansara Heights and Bangsar. Today, such premium prices are being fetched in areas which have historically never been deemed prime. Metrohomes Sdn Bhd director See Kok Loong says credit should go to the three developments – Desa ParkCity, Mutiara Damansara and Sri Tanjung Pinang – for turning non-prime land into an address that home owners want to be associated with. These developments share some common features – they involve an area large enough for a master-planned neighbourhood. This, says an industry observer, is key as it avoids having developments that conflict with each other within the same development, for instance heavy traffic commercial development in a low density residential section. 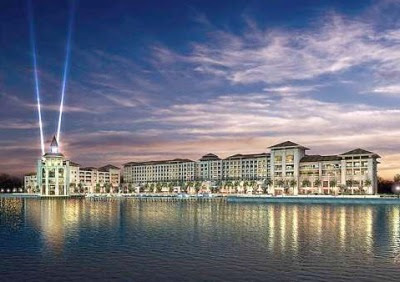 Secondly, these developments have dominant lifestyle themes such as sea-front or lakeside living. Having a lifestyle-driven commercial development such as a marina or box-concept shopping malls (for example warehouse-type one-stop shop Ikea, Ikano and Tesco) quite clearly increases the appeal of a property project. In addition, the market seems willing to pay premium capital values and monthly service charges for units that are more spacious in low density and secured neighbourhoods with club facilities such as pools and gyms. KGV-Lambert Smith Hampton’s director of valuation Anthony Chua explains that price appreciation of terraces in Mutiara Damansara and Desa ParkCity has been faster than the more established Bandar Utama, largely because they were one of the first to introduce the gated community scheme. “Older terrace estates are not designed to be gated and have too many entry points. The developer offered the buyer a lifestyle concept, whether it’s sea fronting or lakeside living,” says Chua. Hence, the buyer gets the best of both worlds. They get to stay in a landed property, but enjoy condominium facilities. For that reason, the price appreciation for intermediate terraces in these areas have been remarkable, far surpassing the national average of 3%. Desa ParkCity has seen prices go up by 14% per annum, Mutiara Damansara 10% pa and Seri Tanjong Pinang by 12% per annum while the units in Bandar Utama have appreciated by merely 5%. HwangDBS Investment Management Sdn Bhd Head of Equities Gan Eng Peng says there will come a time when we can no longer expect to buy a terrace house for under RM1 million. “As in more developed countries like Singapore or even Thailand, land prices in the city center start range from RM2,900 to RM4,900 per square feet (SGD1,200 at current exchange rate) compared to KLCC properties that are deemed expensive at RM 900- RM1,500 per square feet (psft),” he says. Gan says that if a developer were to launch terrace houses today with decent security thrown in within central Klang Valley, there will be very strong demand. “High terrace houses prices are not deterring buyers,” he says. See says this could be the start of a new property cycle for landed property. “Personally, I feel the property market is driven by government policies and interest rates. The low interest rates will drive housing. None of the owners are selling. Everyone seems to have holding power. Besides, low cost of funding allows the owners to refinance,” he adds. He says these homes will set the new benchmark pricing for upper-middle class demand, as old-school developers cannot offer features like a clubhouse and security. Meanwhile, Chua sees such terraces easily appreciating by 5% to 7% per year. Due to the continuous huge pricing gap between semi-detached and bungalows compared to terrace houses, Chua expects to see more such million ringgit houses coming on board. Gan explains that the typical investor’s largest asset class tends to be properties, followed by banking deposits and investments. “If there is no inflation in properties and no million dollar terrace houses, it would be disastrous for the economy. Because that would mean no wealth creation for the typical investors/household largest asset class. Without wealth creation from properties, consumers are less willing to spend. Banks will be less willing to lend as their collateral does not appreciate. Generally, a healthy economy requires higher property prices,” he says. TSI Holdings Sdn Bhd is developing the largest wholesale city in Malaysia and the South East Asia region on 14.5 acres in Klang with gross development value (GDV) of more than RM1.5bil. Lim Seng Kok ... We do not offer freebies or gifts to buyers to purchase the properties but will give quality products. Group managing director Lim Seng Kok says that when the development is completed, the city will have more than 2,000 units of shops solely for wholesale business. “The development is divided into four phases that will take 8 to 10 years for completion. The first phase is going to be opened in October or November this year, comprising about 200-odd single storey shops where all the units are for lease only for wholesale business,” he tells StarBizWeek. He says that for the second phase, the group has already submitted plans for approval and will do the launching in the middle of next year. “The first phase is only for lease but for the next phase, we are going to sell the shops to those in the wholesale business,” he says. TSI Holdings started its business in 1987 as specialised contractors with projects locally and in the international market such as Indonesia, Thailand, Singapore and Qatar. The group ventured into property development in 2000 and have accumulated about RM760mil in completed developments in Cheras, Kuantan and the city of Kuala Lumpur. To date, TSI have completed more than 1,800 units of properties with GDV of about RM500mil. About RM2bil of development is still in the pipeline. 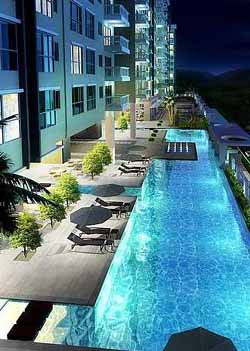 Artist’s impression of the pool view of First Residence in Kepong Baru. Lim says another project launch this year by the group is First Residence in Kepong Baru, Kuala Lumpur with GDV of RM166mil, comprising two levels of shops and 474 units of condominium in two towers, scheduled for completion by the middle of 2011. “We did the soft launch for Block A after the Chinese New Year and to our surprise, the sales were overwhelming as almost all the non-bumi units were sold off,” he says adding that though the current market condition is slow for property sector, the group doesn’t feel the pinch at all. “We always believe that with the right products design that can meet the requirements of buyers, the market is still there for us to continue our business,” he says. He adds that the group does not offer freebies or gifts to its buyers to purchase the properties but will give quality products. The group has recently launched the second block (Block B) to meet the demand from the market. The condominium range from 930 sq ft to 1,450 sq ft and priced from RM233,000 to RM333,000 while the shops are priced from RM700,000 to RM1.2mil. “This development will be the first in the market to offer 32 facilities for its resident on a 20,000 sq ft podium, such as karaoke rooms, yoga room, reflexology path, etc,” he says. For upcoming development, Lim says the group will launch a mixed residential development in Puchong by early next year that consist of 520 units of condominium and 12 units of conventional shops with projected GDV of over RM130mil. TA Enterprise Bhd (TAE) said its property business will drive the group's growth for the next few years, with a portfolio possibly worth RM6 billion comprising five new residential and commercial projects in the Klang Valley targeted for launch between now and 2012. The property and financial services firm, which has over 400ha of undeveloped land, will also buy or build one hotel a year to grow its hotel portfolio, possibly under the Aava brand, managing director and chief executive officer Datin Alicia Tiah said. "While we are focused on the new (property) launches, our aim is to build our hotel portfolio. So, if any irresistible deals come by, we will buy. Now is the best time to buy assets as they are cheap and the exchange rates are low," she said after the company's annual general meeting and extraordinary general meeting in Kuala Lumpur yesterday. TAE is looking for new assets to buy in Malaysia, Canada and Australia. It is also eyeing new markets such as Hong Kong and London, and other cities close to financial centres. Tiah said TAE has over RM400 million in its coffers to use for asset acquisition. The group now runs Radisson Hotel (Sydney), Aava Whistler hotel (Canada) and Westin Hotel (Melbourne). It paid almost RM700 million for the properties. It is buying Swissotel Merchant Court Singapore, owned by Singapore's Merchant Quay Pte Ltd. It is learnt that TAE will pay more than RM250 million for the hotel deal, which will conclude by August 25. TAE is also building a six-star and a five-star hotel, located directly opposite the Petronas Twin Towers and at the Jalan Bukit Bintang/Jalan Imbi junction in Kuala Lumpur, respectively. They form part of TAE's new projects. "I believe the worst (of the economic crisis) is over. You can see some green shoots, even in the US. "We hope that by the time we launch our new projects, the market would have recovered. We will undertake piling works first before launching to minimise risks," Tiah said. TAE expects to do better this year, thanks to housing sales at its ongoing projects, and the acquisition of new investment assets which have contributed immediately to earnings, Tiah said. Last year, TAE made a net profit of RM91.9 million on revenue of RM535.4 million. "Our net profit fell by 59 per cent last year as we made heavy provisions. I am very confident to write back 80-100 per cent of these this year. "The stock market performance will be better than last year. So this year, we also expect to do better as far as financial services are concerned," Tiah said. 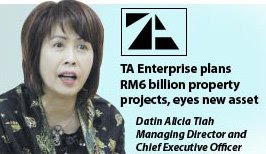 KUALA LUMPUR: TA Enterprise Bhd plans to launch a few property projects with a total gross development value (GDV) of over RM2bil next year due to an improving real estate market, said managing director and chief executive officer Datin Alicia Tiah. The projects include a boutique residential development at Jalan U-Thant with a GDV of RM110mil and a condominium development at Dutamas worth RM300mil in GDV. Also in the offing was a long-term mixed commercial development in Sri Damansara with an estimated GDV of over RM3bil over seven to 10 years, she said. “The worst is over and greenshoots are emerging in the US market. The economic activities are still good but there is a lack of confidence,” Tiah told a press conference after the company AGM yesterday. The company plans to launch shop-offices and small home office units in the first quarter next year and a mixed commercial development project opposite the Petronas Twin Towers in 2011 and another mixed commercial development in Bukit Bintang in 2012. Tiah said its property segment contributed about 75% to group profit in its financial year ended Jan 31 (FY09) with the remainder from financial services. “We expect to have a (more) balanced portfolio in FY10, particularly when the market is maintaining growth momentum,” she said. Tiah sees TA’s property segment, with more than 1,000 acres of undeveloped landbank, to continue driving the group’s growth at least for the next three years. TA also aims to build or acquire a hotel every year, according to Tiah. It currently has three hotels – Radisson Plaza in Sydney, The Westin Melbourne and the Aava Whistler in Canada. The company recently proposed to buy Mauritius company Quayside Gem Ltd, which owns Merchant Quay Pte Ltd of Singapore. Merchant Quay is the owner of the four-star hotel Swissotel Merchant Court Singapore. On the outlook for FY10, Tiah said the company expected a better performance due to the improving business sentiment as well as good take-up rates for its properties. The group’s net profit slumped 59% to RM92.3mil in FY09 mainly due to the lacklustre performance and thin trading volumes on Bursa Malaysia and high provisions totalling RM50.6mil for impairment loss on financial receivables and investments. “We expect to write back 80% to 100% of our provisions in this financial year,” Tiah said. TA currently has a net cash position of more than RM400mil and unbilled sales of RM61mil. On plans to list its property arm, TA Global Bhd, Tiah said it would be done by early November. Businessman Tan Sri Syed Yusof Tun Syed Nasir is returning to property development and building niche properties for high net worth people. 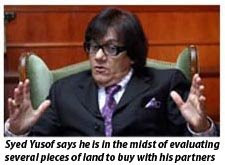 Syed Yusof, or JoJo as he is fondly known, the third child of the late Tun Dr Syed Nasir Ismail, Malaysia's first Parliamentary Speaker, is in the midst of evaluating several pieces of land to buy. "My partners and I have been approached by landowners. We are looking at it," Syed Yusof told Business Times in a rare interview. Syed Yusof's maiden property venture was Pandan Cahaya, an abandoned low-cost housing project in Pandan Jaya, Kuala Lumpur, which he took over just after the Asian financial crisis in the early 1980s. "The project was a challenge, but I found property development an interesting field," he said. The 62-year-old businessman, who is married with three children, loves expensive cars, Harley-Davidson motorcycles and all things beautiful that captivate the rich and famous. But his real passion is to own and operate a string of boutique hotels, resorts and themed cafes, and develop niche housing. For this, he has partnered Malaysian-born tycoon Ong Beng Seng, 64, who was last year voted as Malaysia's 14th wealthiest businessman with a net worth of US$470 million (RM1.6 billion). The minimum net worth to make the list is US$90 million (RM317 million) and Syed Yusof was also voted in after cashing out of Southern Bank Bhd in 2006 and making new investments. Today, the flamboyant tycoon with his striking pair of spectacles partly owns 10 hotels and resorts in Malaysia, Bali, Pataya and the Maldives. They include Concorde Hotel Kuala Lumpur, Concorde Shah Alam, Concorde Inn Sepang, Concorde Singapore, Hard Rock Hotels in Bali and Pataya, The LakeHouse in Cameron Highlands, Rihiveli Beach Resort in Maldives and Casa Del Mar, Langkawi. The properties are parked under HPL Hotels & Resorts, a unit of Hotel Property Ltd Group (HPL Group) controlled by Ong. New developments include a boutique hotel known as Casa Del Rio in Malacca, and Malaysia's first Hard Rock Hotel in Penang. Syed Yusof, who was not exactly born with a silver spoon, graduated with an economics degree from the University of Tasmania in Australia in 1975. He joined Petroliam Nasional Bhd in 1976, handling various management positions before calling it quits in 1983 to become an entrepreneur. Syed Yusof was toying to build houses when he came across the Pandan Cahaya development. Following that, he formed Prima Damansara Sdn Bhd to build shoplots, medium-cost apartments and 800 low-cost houses in Sungai Buloh, Selangor. He was awarded a Datukship in 2002 by the Selangor ruler, Sultan Sharafuddin Idris Shah, and Tan Sri in 2007 by His Majesty Seri Paduka Baginda Yang di-Pertuan Agong Sultan Mizan Zainal Abidin. Syed Yusof helmed Southern Bank in 2004 and in the same year made a move to go up a notch and set up Sierra Damansara Sdn Bhd to construct exclusive gated bungalows and semi-detached houses in the sought-after Kota Damansara enclave. He is now planning the RM2 billion six-star Four Seasons Hotel, serviced apartment and mall project next to the Petronas Twin Towers, via ISY Holdings Sdn Bhd, a firm he set up with the Sultan. Syed Yusof is a long-time childhood friend of the Sultan. Their fathers were also friends. In Australia, Syed Yusof said he owns seven Dome Cafes and has property development activities. "I'm always on my toes but I manage my time well. I start my day at the gymnasium and when I'm at work, I am full fledged. I love the islands and yachting and that is what I do when I need a break. Otherwise, I would travel between Malaysia, Australia and Singapore," Syed Yusof said. Syed Yusof is currently the chairman of pipemaker YLI Holdings Bhd and he has a stake in investment bank K&N Kenanga Bhd. He owns Saloma Theatre Restaurant on Jalan Ampang, Kuala Lumpur and has interest in the Hard Rock Cafe and Planet Hollywood restaurants, where he is looking to expand. Syed Yusof also runs Jo-Jo Entertainment, which has brought in international stars like Michael Jackson, Gloria Estefan, Kenny G and Sting to Malaysia. Although potential property buyers are taking a longer time to make up their mind on whether to proceed with a purchase, the time-tested adage of the property business still holds true. Good quality property products in the right locations that are priced competitively will not face difficulty in finding buyers. However, the impending removal of most of the housing packages offered by developers to attract buyers will mean that any sales realised will be dependent on the intrinsic values of these property products and how attractive they are. Buyers have to accept the fact that developers are not about to continue with their housing packages indefinitely as these facilities incur higher cost. As buyers only need to fork out 5% or 10% of the purchase price depending on the facilities signed for, developers have to service the interest charges to the financiers for between two to three years during the project construction period. They are also bearing all the legal fees and stamp duty on the sale and purchase agreement, loan agreement and memorandum of transfer. The consolation is that these facilities have translated into low entry cost for buyers and have contributed to the higher sales of the past few quarters. Post-housing packages, whether the sales numbers will continue to flow in will largely depend on whether there is a major turnaround in the people’s sentiment. Generally the prevailing sentiment is still one of caution. This has resulted in more developers resorting to redesigning and repositioning their projects into more affordable range which have lower profit margins. A number of projects that have been launched lately have smaller built up space to ensure they are priced lower. It is a fact that competition will continue to heat up and developers will be faced with more challenges on the horizon. How well they hold up to the competition and overcome these challenges will have a great impact on their performance and market’s sustainability going forward. The lull in the market of the past few quarters should have given industry players sufficient time to undertake some serious business restrategising plans and product research and development initiatives. It looks like industry players still have some way to go before regaining their previous confidence (before the global financial crisis sets in last September) where they have no qualms about having multiple project launches. These days, developers have to really tune in to buyers’ needs and the realities of the current times when planning their projects. They have to conduct their business differently and come out with more “out of the box” project designs and plans. The projects are likely to be of smaller scale and with less units. One of the projects that should be able to hold out quite well will be well designed and moderately sized apartments and small office home office units in Kuala Lumpur’s inner city or the peripherals areas just outside the city’s central business district. There are many young executives and professionals who are looking to move into these residences to enjoy the conveniences of city life, yet cannot afford or are not ready to commit to buy one of the high-end KLCC residences. To ensure a more “smooth landing” for industry players, it will certainly help if the Government adopts more market liberalisation measures to create a level playing field for property players. Industry players, through Real Estate and Housing Developers Association (Rehda), want the Government to urgently look into the bumiputra quota release mechanism to ensure a standardised, structured and transparent system is in place so that developers will not be unneccesarily burdened by the high holding cost of these unsold bumiputra units. There is a need for an automatic release of the quota units after six months of a project’s launch or when a project has reached 50% in its construction, whichever is earlier. Meanwhile, to help the lower income group, it will be fair to cap discounts for bumiputra buyers at 5% of a property price and such discounts should only be applicable for houses priced at RM250,000 and below. Purchasers for a higher priced property are better off financially and will not need a discount. Currently, the different states impose different discounts ranging from 5% to 15% for bumiputra buyers. Deputy news editor Angie Ng believes it is timely for more proactive collaboration between developers, the Government and common folks to promote strong bonding, good neighbourliness and mutual respect. Puteri Harbour in Nusajaya, Johor, will be equipped with state-of-the-art security features estimated to cost some RM20 million. Among features planned include individual security centres in every building within that 405ha area and these to eventually be linked to the Puteri Harbour security command centre. Phase One of the waterfront development's safety and security blueprint costing RM3m is already up-and-running at the marina and clubhouse. The emphasis on security is one of Puteri Harbour's strongest pull factors, says UEM Land Bhd general manager (waterfront development) Zamani Kasim. At present, 46 closed-circuit television cameras encircle the marina and clubhouse, some equipped with a "help" button. "When the 'help' button is pressed, the cameras located closest to it will zoom in and you'll be able to speak to an officer at the command centre. "Our command centre is manned by fully-trained security officers," he told Business Times yesterday. "We're willing to spend significant sums on the safety and security because of the high-end nature of Puteri Harbour. We're also fully aware of the security concerns of the individuals who choose to come here," Zamani said. On the search for a new investor to replace Middle East developer Damac Properties, Zamani said UEM Land hopes to find a suitable replacement by the year-end. "We are now in talks with several parties but have yet to make our decision," he said, referring to the developer which, in June, backed out of a deal to invest in Puteri Harbour. Damac pulled out from an arrangement to buy 17.4ha of land for RM396 million. Zamani said Damac had faced some financial difficulties. Puteri Harbour is an integrated waterfront development offering harbourfront residences, offices and retail and entertainment outlets as well as berthing facilities for yatchs of various lengths. The marina and clubhouse are already in operation, while the ferries and water taxis are expected to be operational by 2012.